Our vinyl siding offers a cost-effective way to give your home’s exterior a complete overhaul. 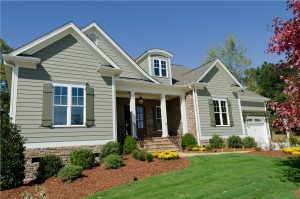 Your siding impacts your home in many ways. If you choose the right color and style, it can greatly enhance the appearance and value of your property while cutting down on high utility costs. With the Atlanta vinyl siding from Tight Line Exteriors, you’ll get all that and more, and we’ll help you choose the perfect product to suit your needs and your budget. From your free, in-home consultation through expert installation services, we will be with you every step of the way to ensure that your siding upgrade exceeds your expectations for value, quality, and efficiency. We are able to provide an outstanding customer experience because we keep the lines of communication open throughout your project. Whenever you have questions or concerns, we will be there to answer them quickly and honestly. When you want a superior replacement siding product that doesn’t break the bank, Tight Line Exteriors has the high-quality vinyl siding you’ve been looking for, including energy efficient insulated vinyl siding! Give us a call today, and one of our remodeling experts would be happy to tell you more about the various services and products we offer. Whether it’s budget-friendly vinyl siding or premium fiber cement siding, we’ll make sure you get the right product at the right price. You can also fill out our online quote form now, and we’ll get you scheduled for a free, no-obligation consult and estimate!